The terms racism, white supremacy, and crimes against humanity are bandied about so often that they have become almost meaningless. But they are absolutely appropriate in an arena where they are too rarely applied: radical environmentalism’s campaigns that perpetuate poverty, disease and death, by denying Earth’s most impoverished and powerless people access to modern life-saving technologies. Imagine activist groups preventing you from having your child vaccinated against polio or hepatitis, or from starting her on chemotherapy for leukemia – because they are “concerned” about “possible side-effects” and the “ethics” of permitting such “risky” procedures. Absurd! you say. Outrageous! Of course it is. But that is what radical environmentalists are doing to Third World countries. By denying people access to abundant, reliable, affordable electricity, modern fertilizers and biotech seeds, and especially DDT to prevent malaria and other insect-borne diseases, they are killing millions every year. Many of my articles have documented this. Now a new film written, self-financed and produced by Dr. D. Rutledge Taylor, MD graphically presents powerful new evidence of how the Audubon Society, Sierra Club, other predominantly white environmentalist pressure groups and the U.S. Environmental Protection Agency conspired to hide and discredit scientific evidence, and wage a campaign of disinformation and outright lies, to ban the most effective weapon yet devised to prevent malaria and other vicious diseases. 3 Billion and Counting: The death toll is mounting shows how DDT was invented on the eve of World War II and became a secret weapon that kept Allied soldiers on the battlefield, instead of in hospitals or graves. After the war, it was sprayed on millions of Europeans to prevent typhus. It then eradicated malaria in Europe, the United States and other developed nations. No one ever got sick from DDT. Available on demand and through Amazon.com, You Tube, Google Play, iTunes and elsewhere, the film chronicles how Rachel Carson’s wildly inaccurate book Silent Spring helped persuade the Audubon Society to launch the Environmental Defense Fund for the sole purpose of demanding a DDT ban. Why would Audubon do such a thing? Its own research and Department of the Interior studies showed that bird and animal populations were exploding during the two decades when DDT was used most widely. Countless other studies documented that the life-saving chemical was safe for humans and most wildlife, including bald eagles. People actually tried to kill themselves with DDT – and repeatedly failed. An EPA scientific panel conducted six months of hearings, compiled 9,312 pages of studies and testimony, and concluded that DDT was safe and effective, was not carcinogenic, and should not be banned. Nevertheless, without attending a single hour of hearings or reading a single page of the panel’s report, EPA Administrator William Ruckelshaus banned U.S. production and use of DDT in 1972 – at a time when over 80% of the chemical was being exported for disease control. Ruckelshaus said he had a political problem, and fixed it. He never considered the plight of malaria victims, and anti-DDT activists still ignore their agony and deaths. Audubon, EDF, Sierra Club, Greenpeace, World Wildlife Fund, Pesticide Action Network, Natural Resource Defense Council and other radical groups that oppose DDT just don’t give a damn – even as they have become filthy, callously rich by opposing the life-saving chemical and other technologies. Sierra Club executive director David Brower, Population Bomb author Paul Ehrlich and other arch-environmentalists believed the biggest problem facing Planet Earth was “uncontrolled growth” in human populations. Ehrlich argued that the “instant death control” provided by DDT exports was “responsible for the drastic lowering of death rates” in underdeveloped countries. Those countries were not practicing a “birth rate solution” – and thus needed to have “death rate solutions” imposed on them, via campaigns against energy, Golden Rice and other biotech crops, and especially DDT. Almost 3.5 billion people worldwide are at risk of getting this horrific disease, 207 million are actually infected every year, and over 800,000 die year after year from malaria. The vast majority are children and pregnant women, and some 90% of them are in Sub-Saharan Africa. In that region, a child still dies every minute from malaria, and most African children have been brain-damaged to some degree by malaria. Worldwide, nearly 80% of all infectious diseases are spread by insects. Malaria is certainly a disease of poverty. But poverty is a disease of malaria. It leaves victims too sick to work or care for their families, for weeks on end. Medicines and hospital stays drain families’ meager savings. The disease costs tens of millions of lost work hours, billions in lost wages, and tens of billions for medicines and care in antiquated hospitals. It leaves entire nations impoverished. However, spraying small amounts of DDT on the walls and eaves of cinderblock and mud-and-thatch homes, once or twice a year puts a long-lasting mosquito net over entire households. It keeps 80-90% of mosquitoes from even entering the homes; irritates any that do enter, so they leave without biting; and kills any that land. No other chemical, at any price, can do all this. In response to these facts, anti-DDT pressure groups rail about risks that are trivial, illusory or fabricated. DDT is associated with low birth-weights, slow reflexes and weakened immune systems in babies, and could cause premature birth and lactation failure in nursing mothers, they claim. Not one peer-reviewed scientific study supports any of this fear-mongering. Every one of these alleged problems is definitely associated with malaria and other endemic Third World diseases. And compared to the death and devastation that DDT could prevent, the alleged DDT risks are irrelevant. However, constant deception and harassment by these groups have caused many health agencies and aid organizations to not use or fund DDT, and often other pesticides. Instead, they focus on bed nets, education, “capacity building,” and treatment with drugs that are too often unavailable, counterfeit, or ineffective because the malaria parasites have become resistant to them. Still, the efforts have been somewhat successful. 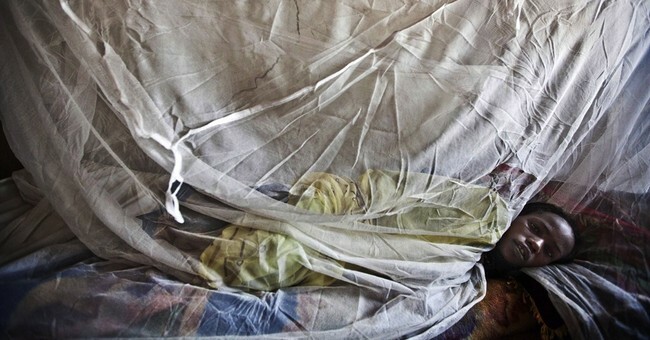 Millions of women and young children now sleep under insecticide-treated nets. Millions now get diagnosed more quickly and receive better care and medicines, often at clinics where two doctors examine up to 400 patients a day. In 2010, the World Health Organization and Roll Back Malaria boasted of an 18% reduction in child mortality, compared with 2000. But that is not nearly good enough. We would never tolerate 18% as “good enough,” if American or European children’s lives (or Greenpeace and EDF kids’ lives) were at stake and a 90% reduction were possible – as it would be, if health workers were also eradicating mosquitoes and spraying DDT. They are also playing with American lives. Spraying clothes with DDT once a year would keep infected ticks away and prevent Lyme disease that leaves tens of thousands battling chronic, debilitating pain and illness for years, Dr. Taylor explains. But the same anti-pesticide radicals are dead-set against that. Watch 3 Billion and Counting. Then contact these Big Green pressure groups and their staffs and board members, and the foundations, politicians and bureaucrats who support them – and let them know what you think of them and their deadly, racist, criminal policies.